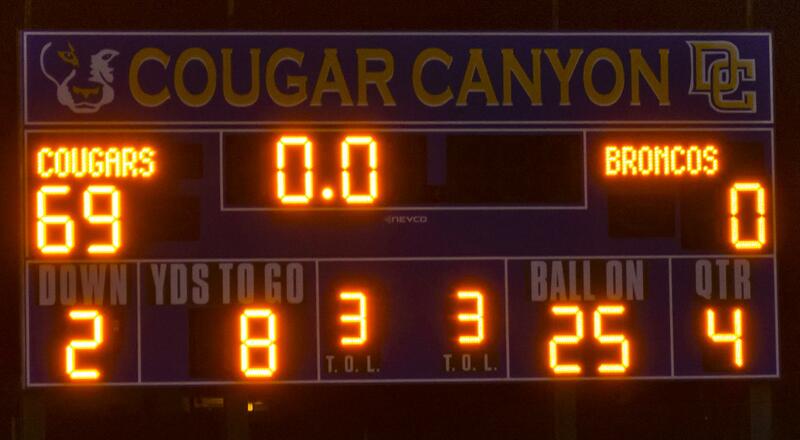 The 2016 football game between Del Campo and Bella Vista High Schools, AKA the Battle for The Oak, had an outcome pretty similar to the last ten or so games, and it wasn't pretty. 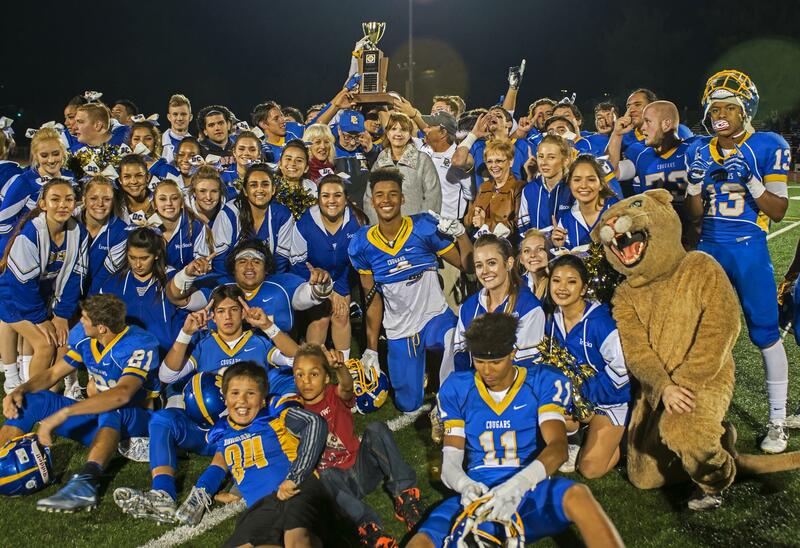 Del Campo's Cougars kept the Jim Purcell Memorial Trophy by beating Bella Vista's Broncos 69-0. 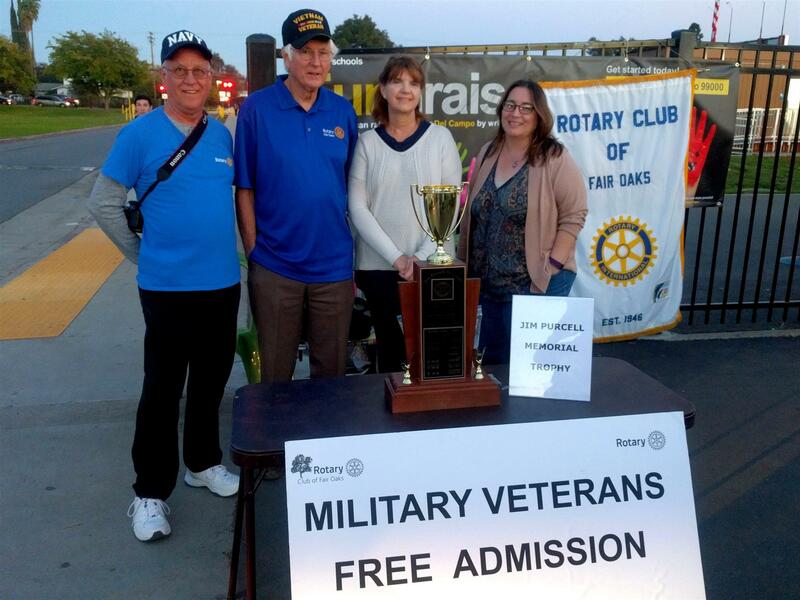 As usual, the Fair Oaks Rotary had a crew there passing out flag lapel pins to all military veterans (and paying for their admission to the game), and President Karen Romines and Jim's widow Bev Purcell were there at the end for the presentation of the trophy. Del Campo HS will also be presented with $1,000 to award to a graduating senior next spring. We sports fans know that the Cubs were proof that all streaks end, but hopefully this game will become competitive again before 108 years.